Backpacking season may be winding down, but that doesn’t mean it’s over yet. While we’ve now lost summer’s long days and t-shirt temperatures, fall camping trips have benefits of their own: scenery speckled with red and gold trees, fewer crowds, and more permit availability. But with winter just around the corner, you’ll want to get on one of these trails soon (and don’t forget to bring that extra layer and rain cover for your pack). Here, five of the best late-season backpacking trips in Washington —because there's still time to get in one last hurrah before you have to wait for next season. With sparkling blue-green alpine lakes, granite peaks, waterfalls, and mountain vistas, the Enchantments are filled to the brim with some of the most inspiring scenery in the Pacific Northwest. Which is exactly what makes winning a permit via the lottery system to visit during the high season so competitive. But there is a way around the whole permit hassle: Visit between mid-October and mid-June, and you won’t need one. Going to the Enchantments in autumn also means the forests will be all the more spectacular thanks to the larch trees, which are conifers with a deciduous-esque twist. Around mid-October the larch pine needles turn from green to gold, before they are blown off by winter’s storms. Even when fall's showers drench Seattle, it is sometimes possible to find drier ground just on the other side of the Cascades. 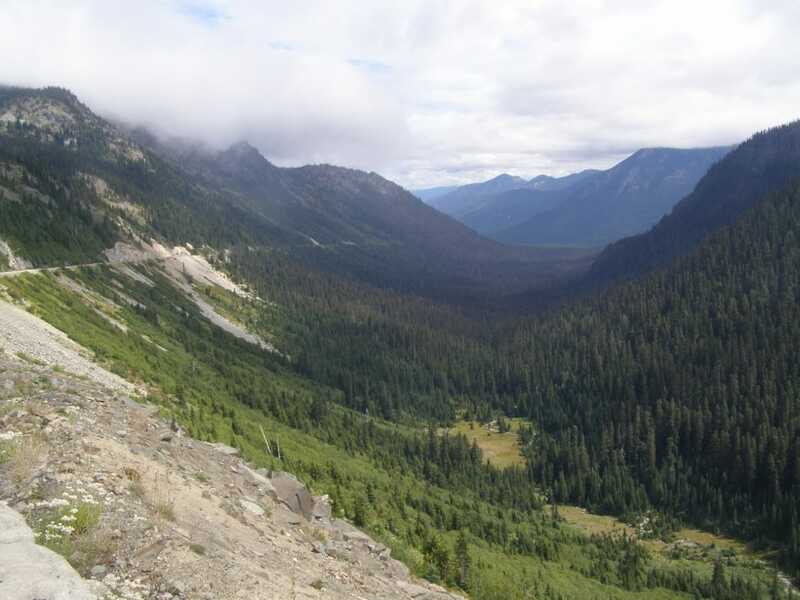 The 14.5-mile Iron Peak Loop , near Salmon La Sac, is a great option for a weekend backpacking trip when other hikes closer to the city seem too drippy. The trail ascends to a rocky ridge, from which you’ll be able to take in mountain views as you scramble along, including ones of Mount Stuart. 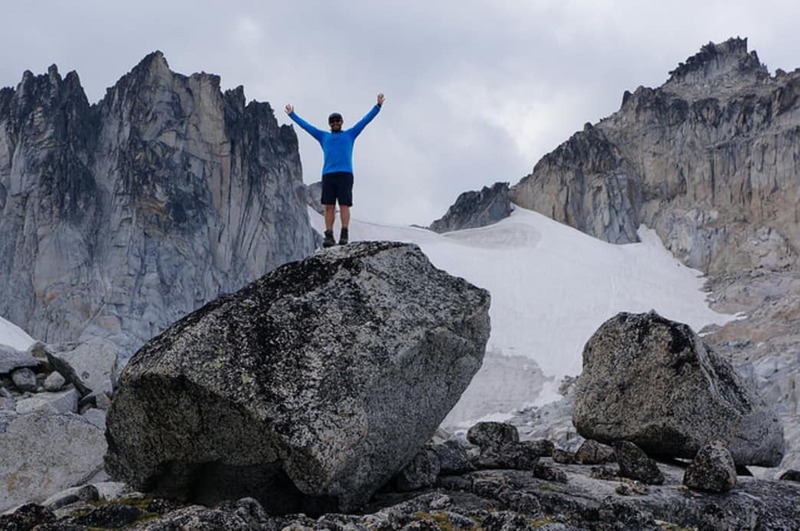 Or, if you’re looking for something shorter in the same area, try the 9-mile hike to Lake Ingalls , one of the most popular treks in the Alpine Lakes Wilderness. Also on the other side of the Cascades by way of Snoqualmie Pass, Navajo Pass is another good option if you’re looking for clearer skies. The 11-mile hike will take you alongside the bubbling Safford Creek, up a series of steep switchbacks, and through forests flavored with red and yellow fall foliage. And then comes the views from the top of the pass, of Mount Stuart and the surrounding Stuart Range. The best place to camp is the large meadow about five miles from the trailhead, from which you can scramble up other peaks in the area if you want an additional challenge the next day. 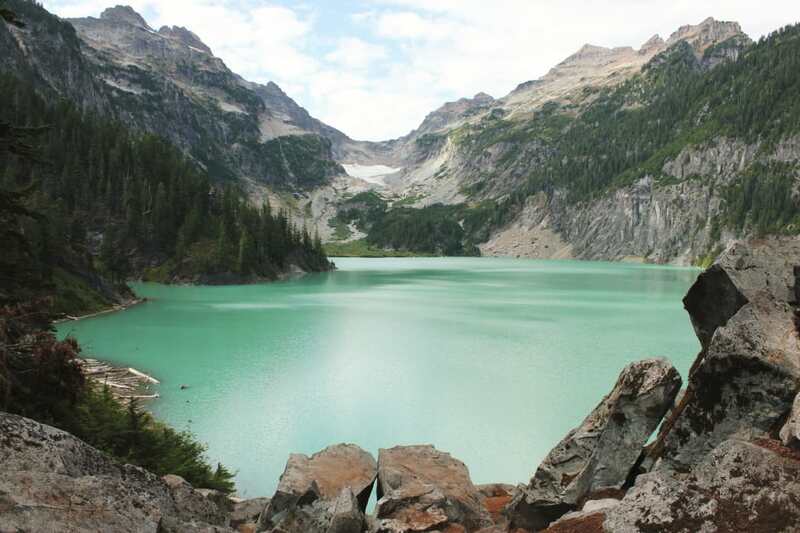 Blanca Lake ’s turquoise-blue water is no less than stunning. In summer, its beauty attracts some of the biggest crowds found on any trail in the area, so if you prefer a little more solitude while on the trail, try visiting in fall instead. The 7.5-mile hike is easily done as a day trip from Seattle, but the area is so pretty that it also makes for nice weekend retreat. There are camping sites all around Virgin Lake, which is about 0.6 miles from Blanca Lake. Just keep in mind that the trail’s high point is 4,600 feet, so you’ll want to get out here before the winter’s snow hits. 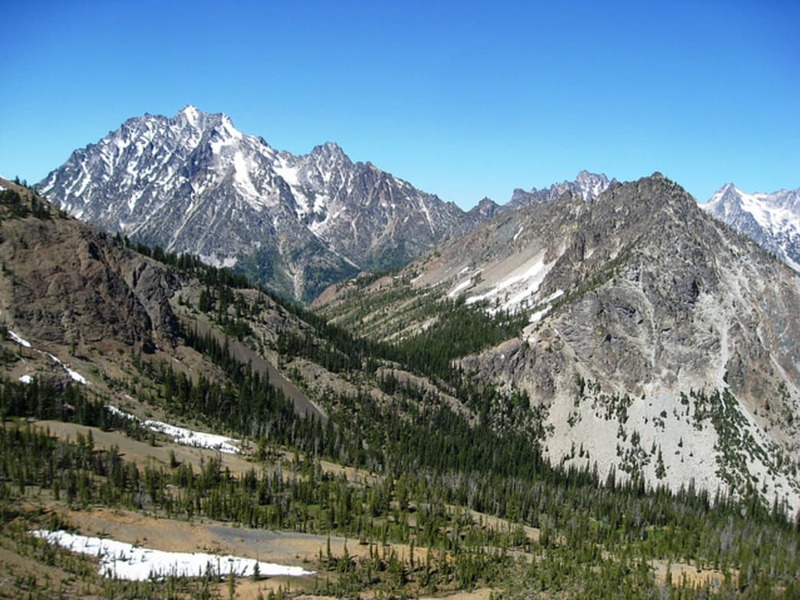 These two mountain passes are two of the prettiest in the state, and the 28 miles of the Pacific Crest Trail that connect them are among the best of the whole route. Hike from White Pass to Chinook Pass in the autumn and the fiery maples and cottonwoods you’ll encounter along the way will add to the visual splendor. While 28 miles is quite a lot to pack into one weekend, the trail is relatively flat and well marked, and there are plenty of places to camp along the way. Plus, you’ll be treated to glorious alpine vistas, including views of Goat Rocks, Mount St. Helens, and Mount Rainier, which is sure to keep the stoke running high. Written by Samantha Larson for RootsRated.